We might see curtains everyday but most homeowners aren't experts at where to place them relative to the windows they frame. Every homeowner has their own decorating style and not everyone uses curtains. Sometimes they might not be comfortable installing curtains, so they'll use blinds or nothing. Sounds like it's time to get the advise of an interior decorator and before you know it, you'll be hanging curtains in your favorite room. This article began with a call from a customer, asking if I had an article on hanging curtains. One of my handyman technicians was at her home to put up curtain rods. But they weren't sure where to put them. When I couldn't find the information online, I knew it was time to write this article which proved more difficult that I expected. There are more choices than you think starting with what kind of curtains to buy and where to hang them. Do you want curtains that are functional or strictly decorative like the curtains shown here? 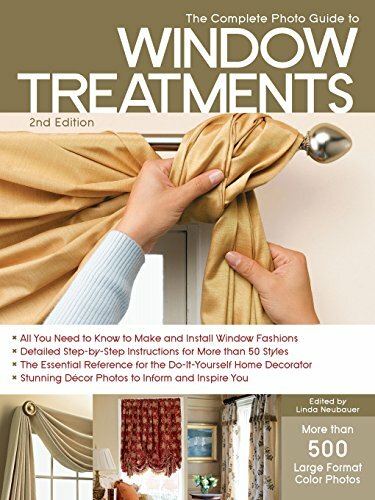 Window Treatments: Where to Begin? was the first article in this series. Now that you've purchased your curtains, this article offers the tips on hanging curtains the right way. So first let's look at what type of curtains you bought, because that might affect where you place the curtains. 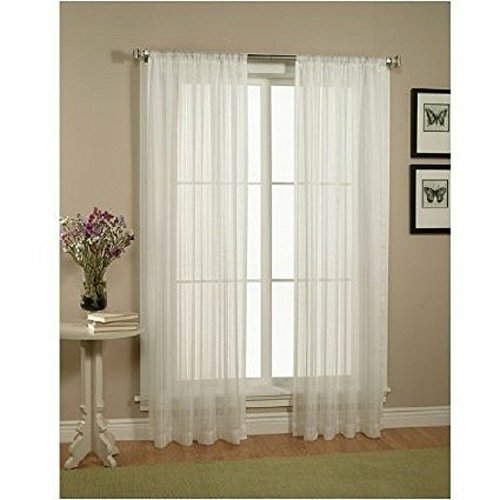 Sheer curtains work with almost any decorating style, by themselves for privacy or layered behind decorative curtains. They cover the window opening and sometimes extend beyond to dress up the adjacent walls. Decorative curtains add color and depth to a room. While curtains traditionally have covered the entire window when closed, today it's common to use accent panels on one/both sides of the window for purely decorative purposes. Thermal and/or blackout curtains must cover the window to save energy or block out sunlight when closed. For these you want to consider extra coverage around all four sides, to make the curtains as effective as possible. Before you purchased your curtains, you decided (hopefully) how long you wanted them to be. For example, you might want them to fall to the floor (#1 below) or even puddle on the floor. Now that you know the length of the curtains, you need to calculate how many inches above the window, the curtain rod should be installed so that once you finish hanging the curtains, they fall where you want. There should be no more than one half inch clearance from the floor or window sill, and ideally you want the curtains to almost touch the floor while recognizing that floors aren't always level. Check to see if there are any heating/cooling vents in the floor or on the wall slightly higher than floor. Consider how these air vents might affect your new curtains, and whether you want to adjust their placement to avoid problems. Ideal position for the curtain rod is 6 inches above the window trim but you may need to adjust this up or down so the curtains end where you want them. You may need to adjust the height of the pole for different curtain “hanging” styles. Your curtains may hang from the pole using a sleeve, rings or eyelets. Many rings are visible so curtains hang below them and you may need to place the pole higher to accommodate this extra spacing. Eyelets are hidden behind the tape on the back of the curtains. Typically the tape is 3 inches and the eyelet is in the middle of the tape with 1.5 inches standing above the pole or rod and thus, may require lowering the rod slightly. On a table or floor, assemble the curtain and hanging hardware to calculate the height from the hanging hardware (not the curtain fabric) to the floor or window sill. This measurement is the one to use when installing curtains. Remember the height is where the top of the curtain lies with respect to the pole/rod hardware. Use a pencil to mark the walls where the pole should sit and adjust the pole hardware accordingly. While you expect the curtain pole to be level, in older homes the ceiling height can vary by several inches from one end of the wall to the other end. You will need to tweak this by eye to find what is most pleasing. The person making this decision should stand at the doorway/entrance to the room where this will be most noticeable. Your curtains will be either functional (you can close them) or part of your decorating scheme. Ideally you don't want to block the windows as you want maximum natural sunlight coming into your room (except when the curtains are closed). 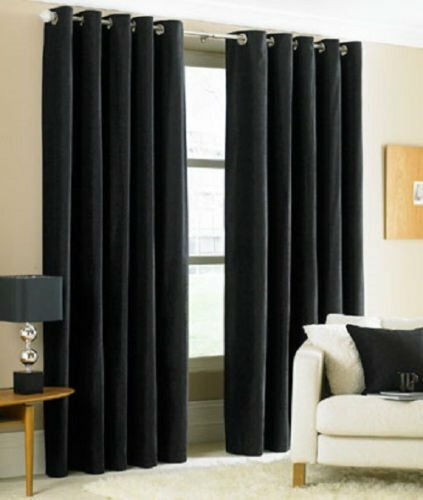 You know the width of your window and the width of your curtains, so let's start the process of installing curtains. The ideal position for the curtain rod is 6 inches to the left/right of the window trim. You may need to make adjustments based on how much linear space is needed for the curtain fabric to hang easily and look “full”. The finials, or decorative ends of poles may extend past the 6 inches. Functional curtains when open must accommodate the folds of the curtain fabric. For an average single window, the 6 inches plus the width of the window trim (typically 3 to 4 inches) should work fine. If you are putting up curtains for a larger window (6 foot or wider), check your calculations. Don't forget to include curtain tiebacks when finalizing the width of the curtain rod, as these may take a few more inches of wall space beyond the curtain pole, not necessarily for the tieback but for the actual curtain fabric to hang elegantly. Measure the width of your window. For this example we'll use a six foot window = 72 inches. Measure the width of the window trim. For example we'll use 4 inches x 2 sides = 8 inches. Add 72 in (window) + 8 in (trim) + 12 in (6 extra inches on each side) = 92 inch curtain rods. Now you need to decide how full you want the curtains to be when closed. This means how many ripples you want in the fabric. The general rule of thumb is 60% fullness but if you want narrower ripples, you can go up to 100% fullness. Plus you may need to add inches to wrap your curtain fabric around the sides of the curtain rod. So let's look at a few examples using our 92 inch curtain rod. 60% fullness is 92 in x 1.6 = 147.2 inches or 148 in rounding up. 100% fullness is 92 in x 2 or 184 inches. You may need to get creative and use panels with different widths. Check that there's a good color match when doing this as they're likely from different dye lots. Now you have a range to work with as curtain panels unless custom made, come in fixed sizes. Typically panels are 45 or 54 inches wide, Ideally you can find a combination of panels to match the fullness you want, something between 148 and 184 inches. Using 45 inch panels, your choices are 3 panels (3 x 45 in/panel = 135 inches) or 4 panels (4 x 45 in/panel = 180 in). Using 54 inch panels, your choices are 3 panels (3 x 54 in/panel = 165 inches) or 4 panels (4 x 54 in/panel = 216 in). When curtains are open, the bunched up fabric is known as stacking. There's no magic formula for stacking all curtains. Lined curtains or a very heavy fabric like brocade, won't stack as tight. Very light fabrics like voile will stack more tightly so you might not need a full 6 inches. Consider how much available wall space you want to leave for a mirror or picture? That's because with the new focus on wall textures, extending your curtains to the edge of the wall might be just the right decorating touch. PS If you're not comfortable hanging curtains yourself, call your local handyman. If you've bought the curtains, the curtain rods and decided where you want them (that's the hardest part), you've already done more than half the work! We've got lots more DIY home tips for you. What's your project and what questions do you have? 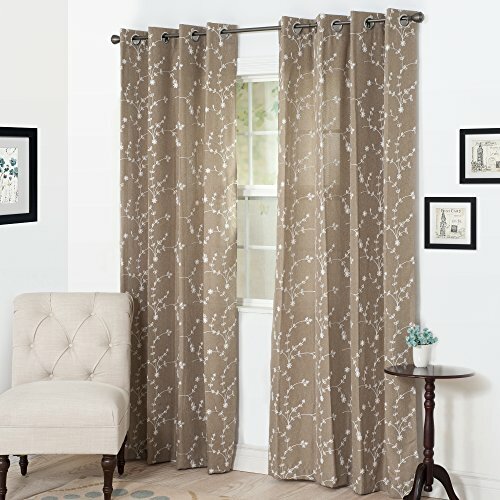 This is super helpful to me because I am trying to hang curtains in my dining room and I can’t seem to figure out how to make them look good – thank you! 1. Decide if you want the 5 windows to blend to single focal point? or 3 windows? 2. Decide how much window you’re willing to cover up? HGTV photos had great ideas for using valances or Roman shades on bay window panels that won’t block much sunlight. 3. 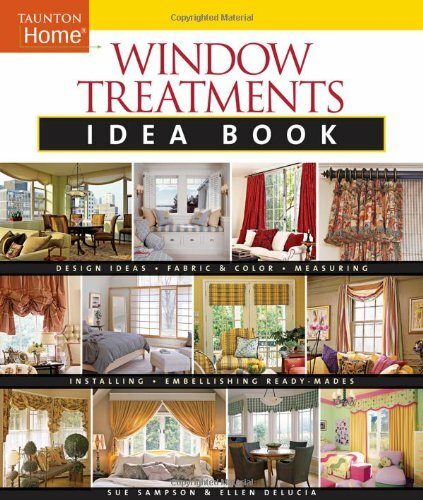 Check out special hardware for bay windows with hinged elbows or invest your own style using hooks and drape fabric to create the look you want. PS Send us ([email protected]) your before & after photos, and we’ll share them here. There are more choices than you think starting.This is a well informative content.I appreciate to this one.Thanks to share this blog with us.You are doing a great job.Keep it up.I will keep share in future. Your tips for curtains are easy to follow, especially with the added illustration. Every homeowner must know where to put their draperies and curtains. Color combinations must also depend on the curtains, walls, and floors. WOW! This blog gives some useful detail about hanging curtain in the home. It gives explanation with diagram. It is really interesting too. This one is really a informative post regarding Curtains. And this post really provides all the information regarding where to hang the curtains. The contains are really great of this post. And this one is really so helpful for us. Thanks for the sharing some great information regarding that one. Tina, I love this post/article! And, talk about perfect timing. I’ve just moved into a nice new place and was at a loss on the window treatment — I’ve searched many DIY sites and nothing compares to BOTH this article and your site/information. Thank you Thank you Thank you — you’ve saved me so much time and ha ha hair pulling with this project! Phyllis, This article happened because a peer handyman owner told me they had trouble giving a technician directions over the phone. I thought it would be simple but in fact, there are an incredible number of things to consider when hanging curtains … the right way. Thanks for your feedback and send me some photos of your new curtains, maybe a before and after. Funny thing is I only have shower curtains in my house as I prefer plantation shutters on the lower half of the window (privacy) with lots of sunlight streaming in on the top. This is an excellent article – the measuring tips are really helpful. I’m always lost as to how to measure my windows for the right effect, the visuals are great. Very helpful article! When I bought my house, the curtains and window treatments in the master bedroom were hideous, but since the windows were “done” I let them be. Reading your piece inspires me to make a change by consigning the project to someone elses’ creativity–an action I should consider more often about more things, as I have lived here now for 8 years. Andrew, There is so much you can do to dress up a room or the entire house with different types of what are called “window treatments”. One reason this article was harder for me to write is I only have shower curtains in my home, preferring plantation shutters on the lower window to let in lots of natural sunlight. 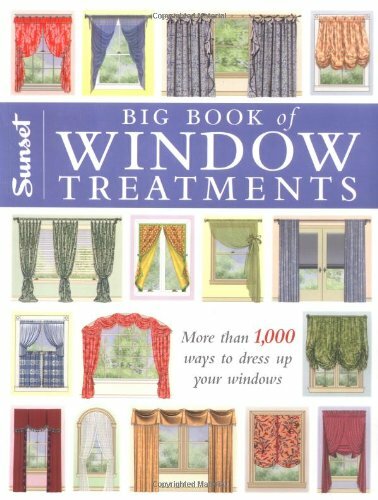 We’ll be collaborating on another article about picking curtains, and then maybe we need a 3rd article on different types of window treatments? Wow, Tina! This ia a great article and timely for me! My middle son is getting married and I am sprucing up the house. Now, I know all about curtains! Georgia, How exciting to have a wedding to look forward to … and I’d love to have a quick chat so I can write an article about sprucing up the house for a wedding. If I don’t catch you on the phone, send me quick email on a good time to talk. What fun to imagine on a sunny, warm day with the snow blowing all around me today. Excellent article Tina & Jennifer – I’ve printed it and will use it to help me make decisions on finally hanging drapery at the place I moved to last fall. Given that I rent my home, I often am reluctant to make the “drill into sheetrock” decision, until I am confident the holes are in right place. Good informative post on curtain placement, but remember that to finally succeed at this you have to get good anchoring of the brackets. It’s always nice when you hit a stud or something solid. How to do this will make another good “how-to” post. good article. be sure to also measure the distance from the rod to the top of the curtain (whether it’s going to hang 1-2 inches above the rod, hiding the rod or hand 1-2 inches below the rod and be displayed). Placement above the window can be limited by the height of the ceiling. The good news is – you get to decide what looks good to you – the rules are flexible to suit your situation. Kerri, Thanks for your tips as I’ll be reviewing everyone’s comments on this article when I come back to create a worksheet to help everyone take measurements & decide where to hang the curtains. This is a great article. We have found it very useful. There is definitely more to it than I realized, until I tried to hang some myself. Thanks for the wonderful resources you provide. Thanks Cindy, I too was surprised at how complicated hanging curtains could be. Hopefully there will be time to create a companion worksheet for homeowners to print & use for measurements – buying – hanging. Custom curtains make a room shine. They are like adding fine details on a wedding dress or the delicate piping on a cake. Many people can sew but custom curtains take a talented seamstress. I can recommend one that will wow you. Lynda, Love your words which are very visual, a dress, a cake … yummy or maybe not if you want to fit into the dress. Would love for you to recommend your seamstress to the current http://www.HomeTips4Women.com web site and later on you’ll see me ask for recommendations for home professionals for the upcoming business directory. Beth, That’s great input & it’s funny but I knew when I started writing this article, that it was part 2 … and the first article, about designing & buying curtains now needs to be written. Appreciate your help and you’ll laugh but the word I needed was stacking, as I had written scrunching until you gave me the right term. Then I was able to find the number you divide by to estimate the number of stacked inches to plan for. Tina- lots of great information in your article. There’s a lot more to hanging window treatments than most people realize! I also wanted to mention that ready-made window treatments are not as reliably uniform as custom mades, meaning that sometimes two store-bought panels that are labeled with the same length are in fact not the same length. Or, they’re not sewn perfectly straight across (so for example, a panel may hang too low on one end and too high on the other). Also, it’s not always possible to have a professional sewer alter imperfect store-bought window treatments into a perfect product if the fabric is too silky or flimsy. If exactness and quality are important, it’s better to invest in custom-made treatments.